Discover the striking landmark that serves as the center of L.A.’s art, design and entertainment communities – The Pacific Design Center. Minutes from the Sunset Strip and Beverly Hills, host your next event at the beautifully landscaped 14-acre campus designed by Cesar Pelli (FAIA). Expansive outdoor spaces, fully furnished turnkey spaces, a screening room and conference center, and on-site AV Capabilities provide versatile and compelling venues for any event. The two-acre Plaza features lush garden landscaping, fountains, and the stunning, blue-and-green building architectural backdrop. Daytime festivals and parties, as well as evening dinners, dances and concerts are perfectly suited to this elegant location. Elaborate staging, lighting and sound are easily accommodated. The landscaping naturally secludes the space to create an intimate feel for guests. The expansive, 250-foot long, two-story atrium space on the fifth and sixth floors of Center Blue boasts one of the largest sky-lit spaces in Los Angeles. 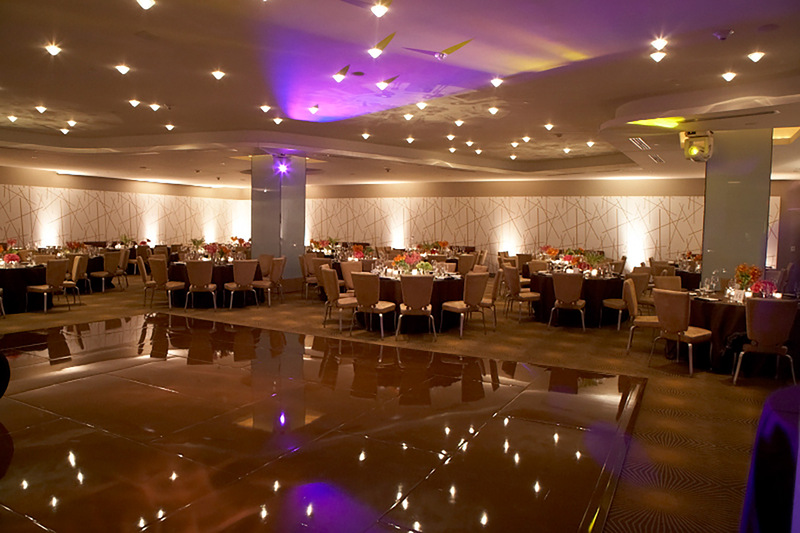 Parties and receptions are easily accommodated in this versatile space surrounded by upscale and unique furnishings showrooms. Particularly desirable for fashion runway shows, premieres and exhibition events. 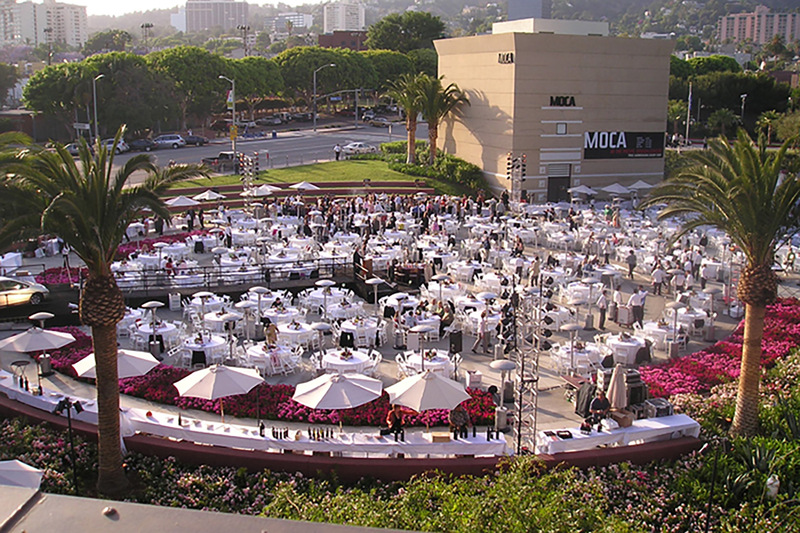 This easily accessibly lobby area of Pacific Design Center lends a festive and active ambience to parties and large scale events and exhibition openings. The space is perfectly suited for festivals and trade-show events when booths and tables require extra wide corridor widths. 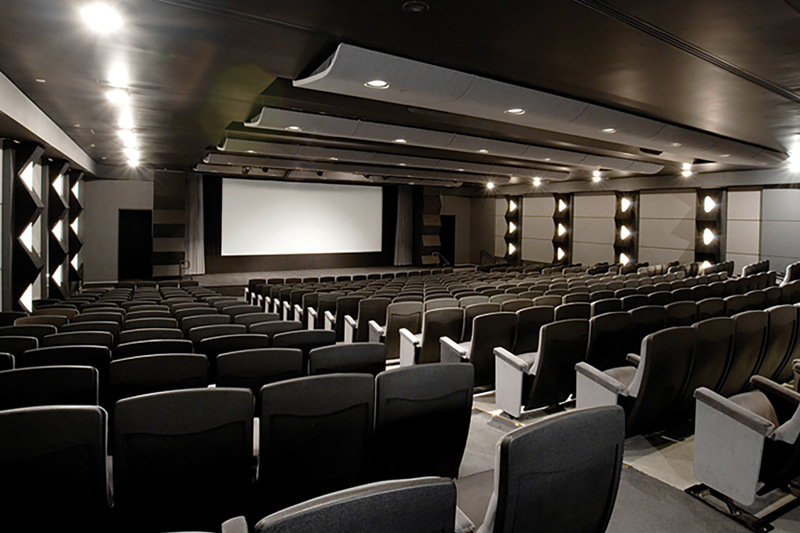 Ideal for film screenings, lectures, readings and receptions, the SilverScreen Theater boasts a state-of-the-art Christie VIVE Dolby Atmos Sound System. Utilize the adjoining lobby & wet-bar to accomodate an even larger event. For smaller lectures, programs and meetings, Conference Center offers intimate, yet professional surroundings. The room may be arranged theater-style with 175 seats, classroom style with 60 seats, a stage platform and podium, or boardroom-style for meetings up to 40 people. The Conference Center is compatible for PowerPoint presentations and internet access. The sound booth is equipped with slide projector capability and microphone. An adjoining foyer may be used as the site for receptions and is equipped with a wet bar. The adjoining Boardroom may be used as a "green room," catering preparation area or meeting space for 20. Spectra by Wolfgang Puck on the third floor of the legendary Blue Building features contemporary elegance in flexible turnkey event space. The adjoining Terrace offers sweeping vistas of the Hollywood Hills and Pacific Design Plaza below. 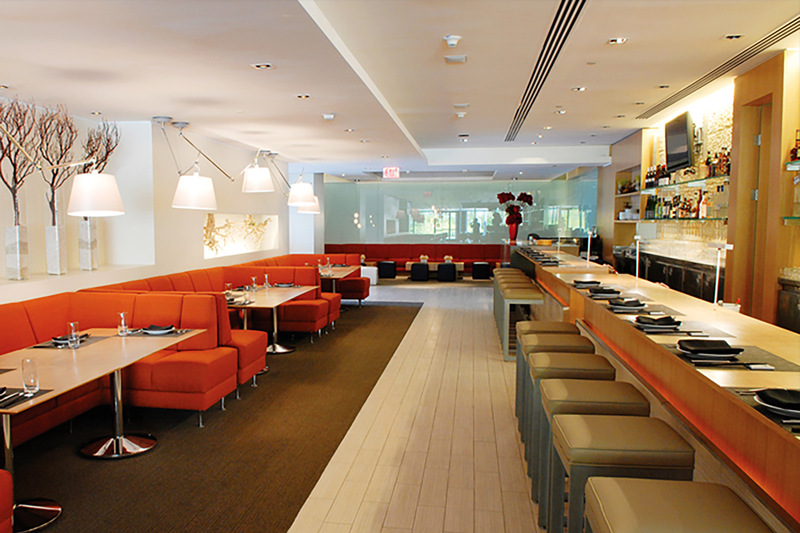 PDC’s on-site Wolfgang Puck restaurant. Designed with a modern, Asian-inspired feel, the space is ideal for events ranging from intimate dinners to large galas or fundraisers when combined with the Plaza, Spectra and the Outdoor Terrace.